She was born in 2341, on stardate 23634.1, on Trill. Growing up, Jadzia was always a shy and quiet child. She lived with her mother, father and sister on Trill and was always very driven by her ambitions to one day be joined to a symbiont. She spent much of her early life focusing on achieving her goals. 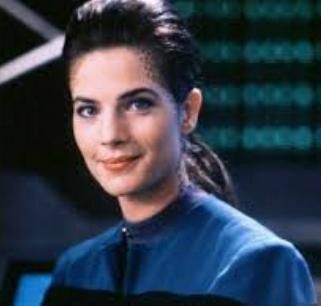 Jadzia joined the Trill military as a scientist serving until 2372 when the United Alliance of Planets was formed with Trill a founding member. She was absorbed into Starfleet and assigned to a Starfleet ship the Enterprise. She was not welcome with open arms on the Federation flag ship and was quite pleased when she was stuck on the Prometheus when it was forced to slide. Finding Prometheus a much friendlier place Jadzia was happier. She was assigned to the Sarek where she served for almost eight years getting the Chief Science Officer spot in 2376. In late 2379 she took the same post on the Hawking to explore the Delta Quadrant.